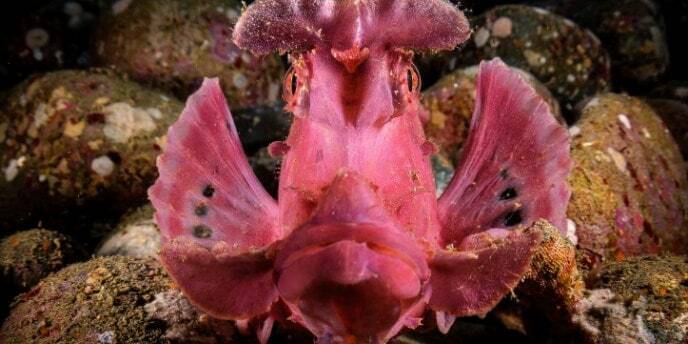 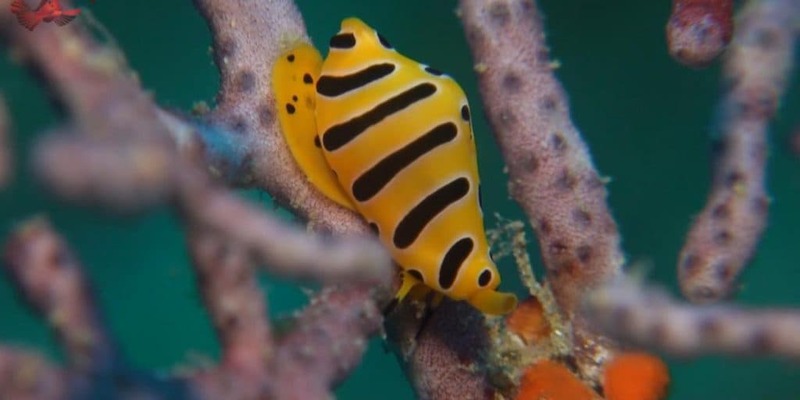 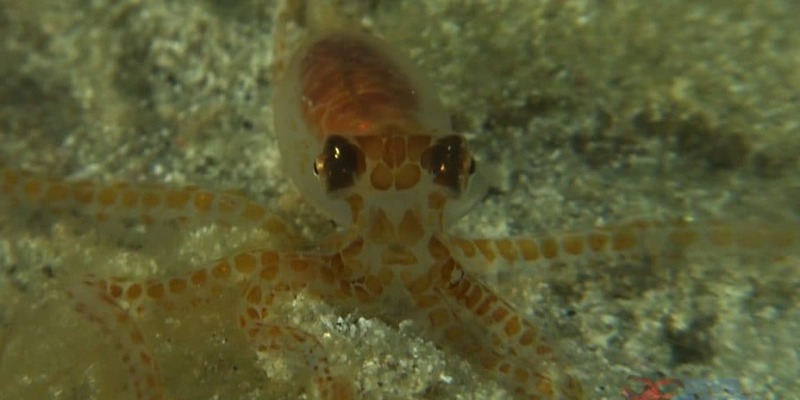 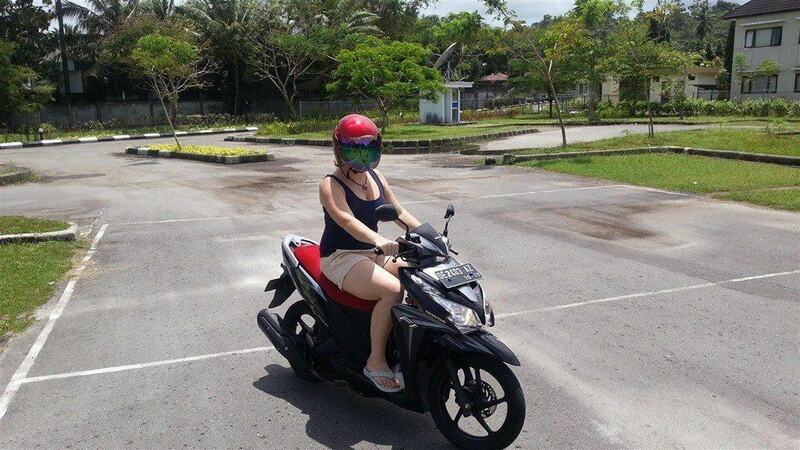 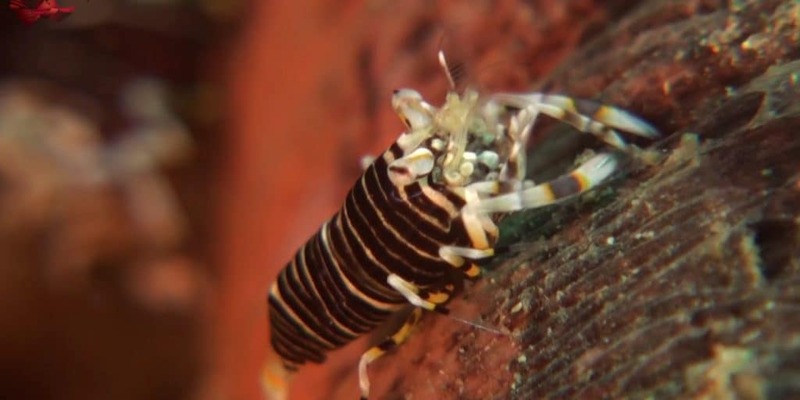 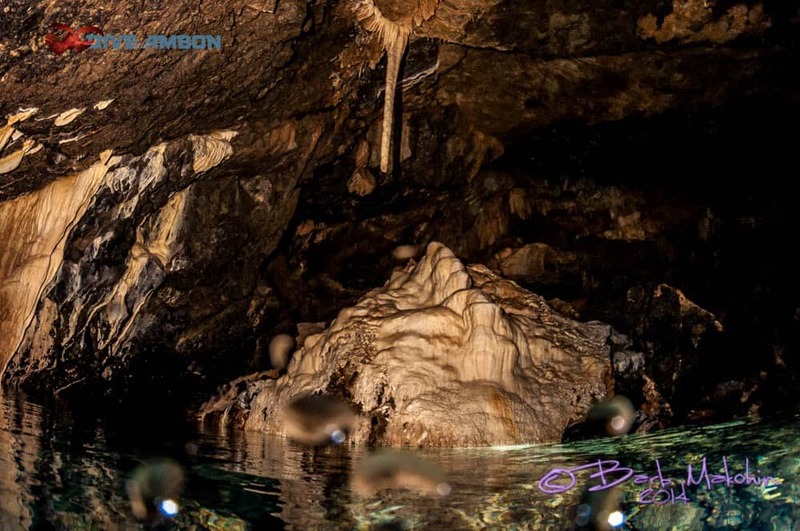 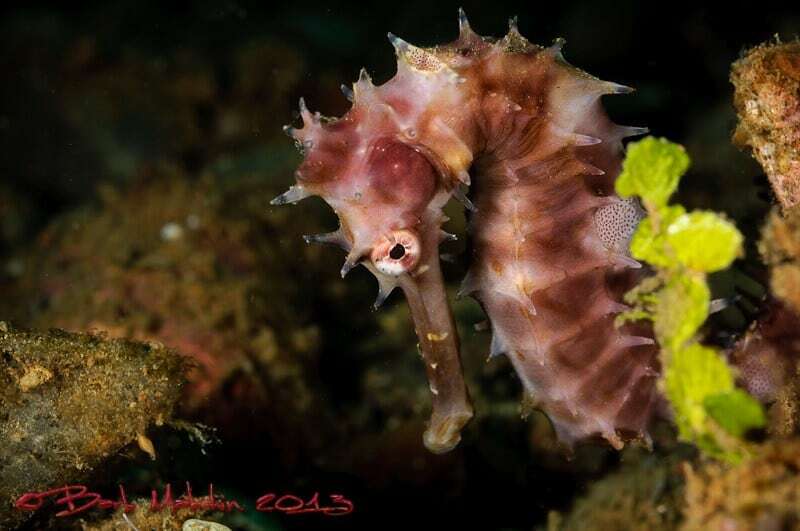 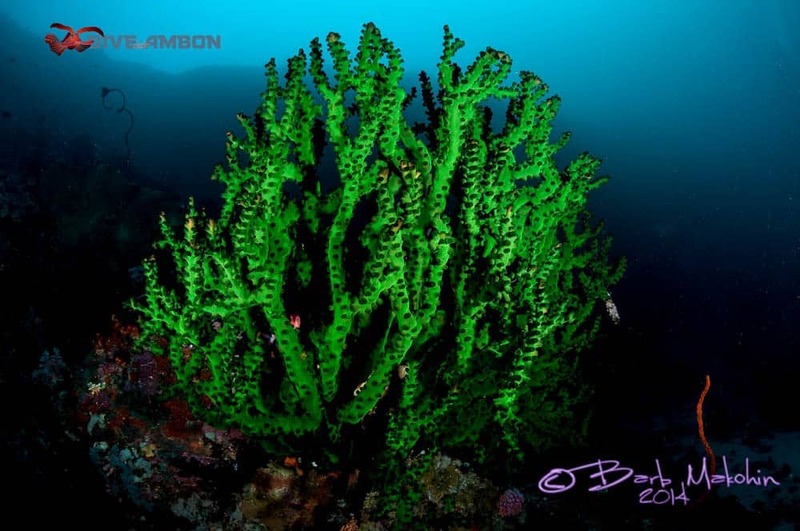 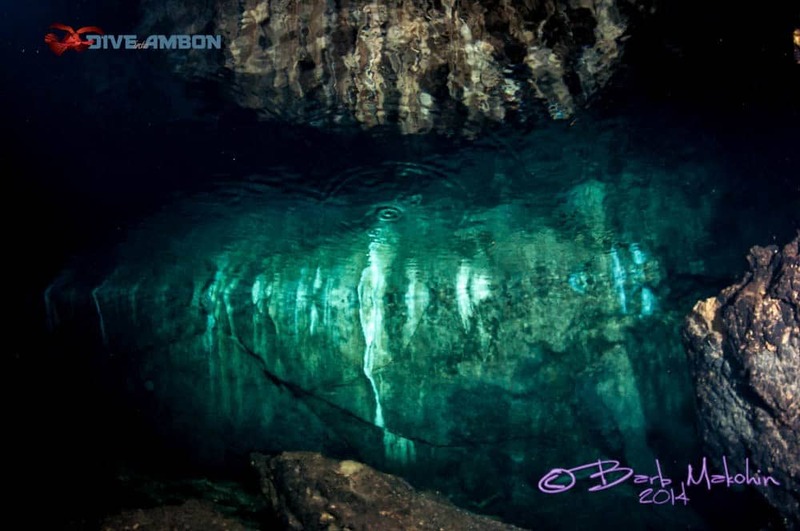 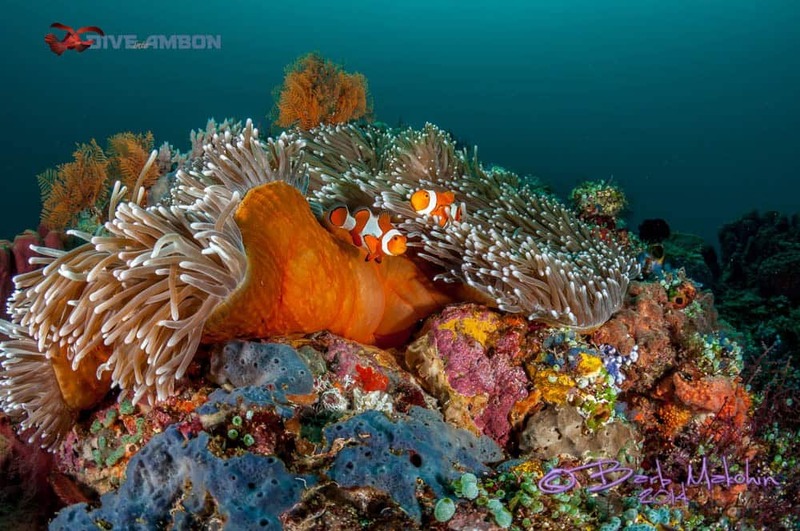 Ambon is known for it’s incredible critter diving and you have seen many posts, photos and videos that bear this out. 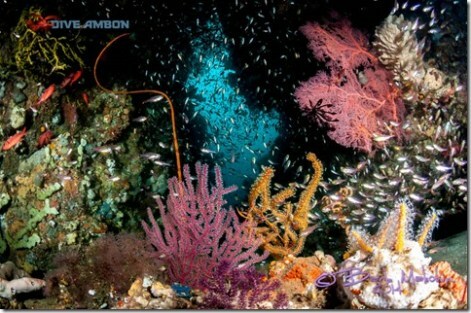 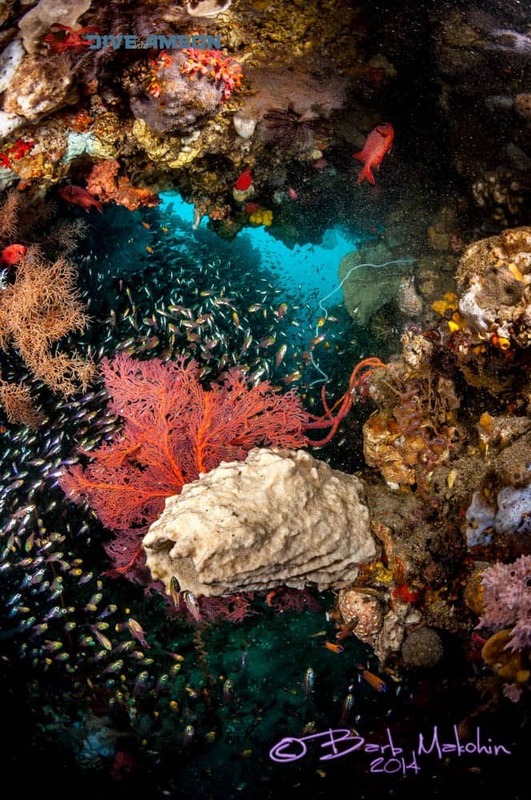 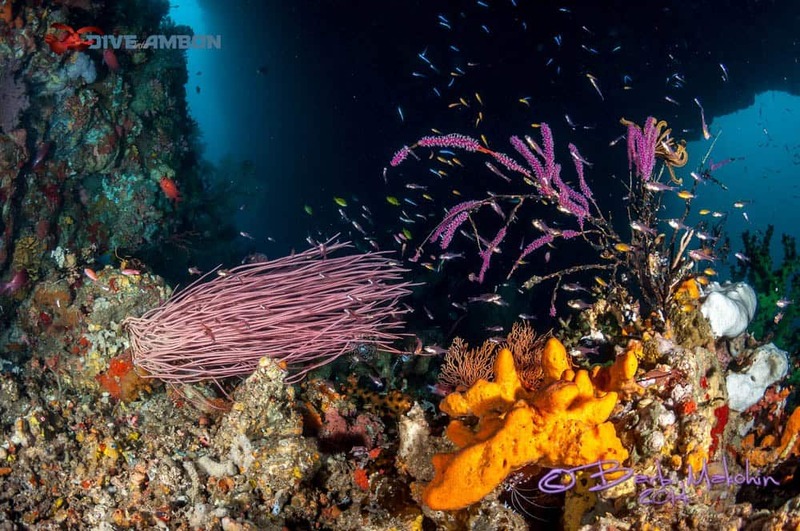 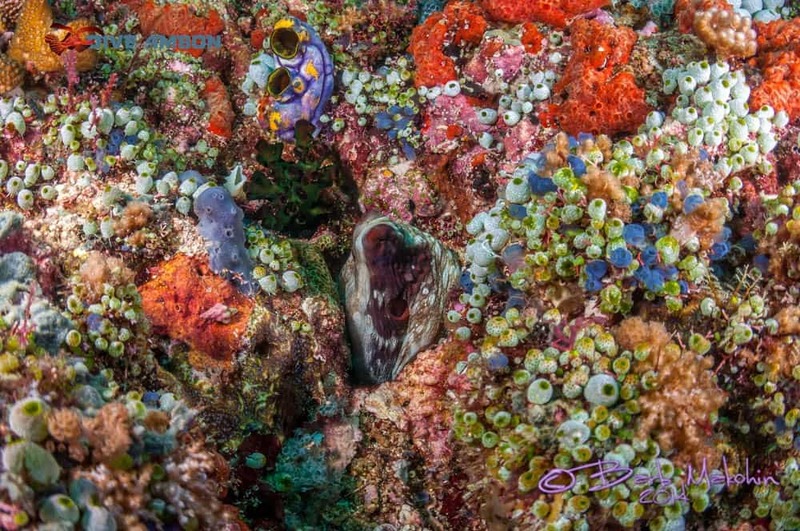 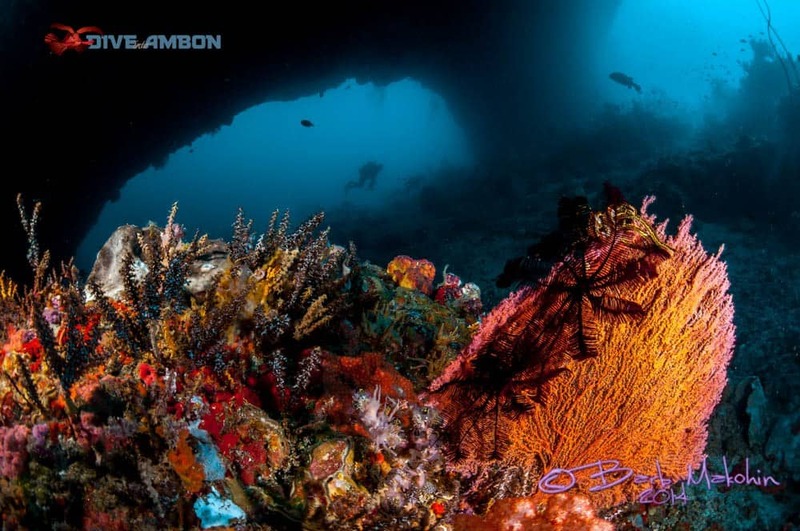 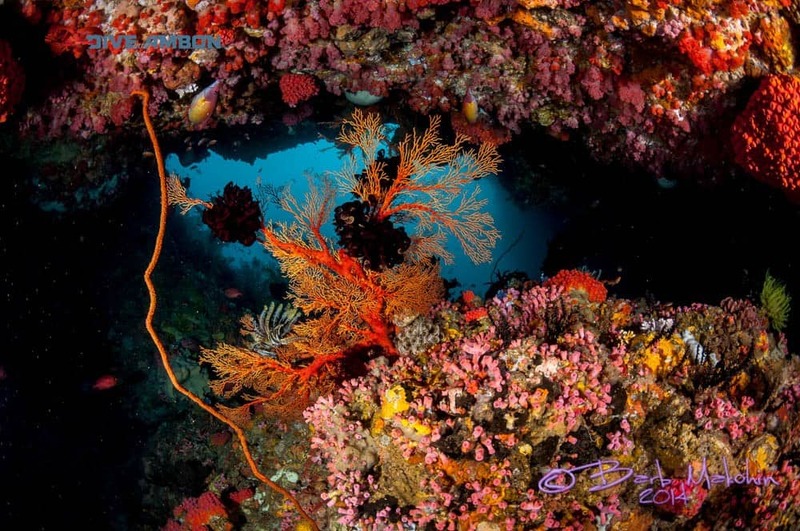 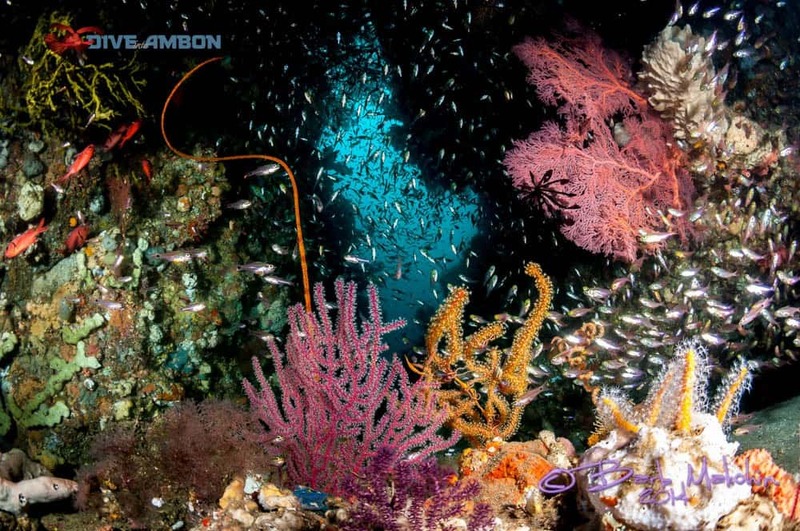 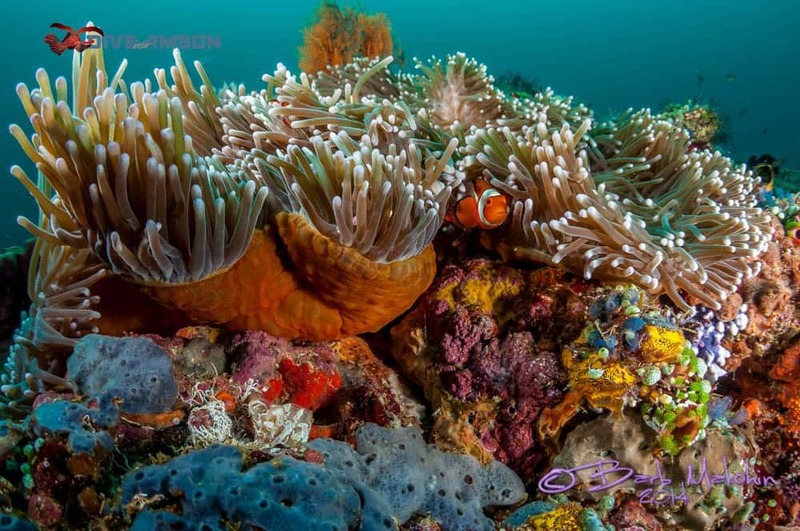 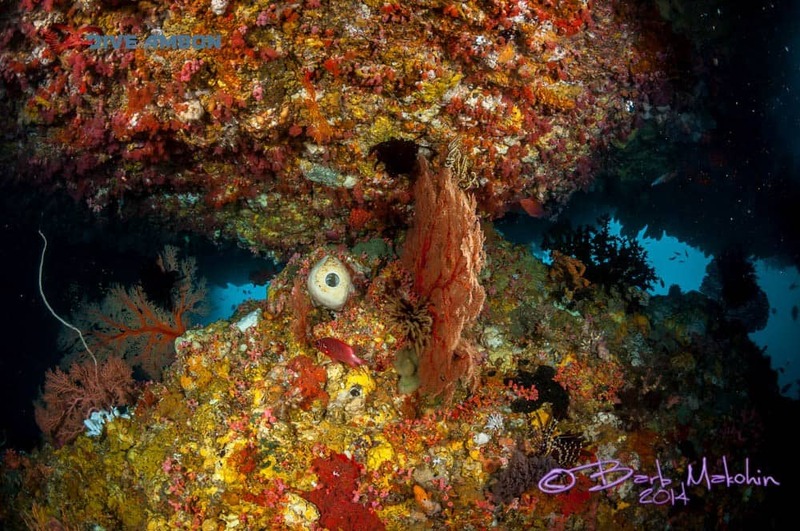 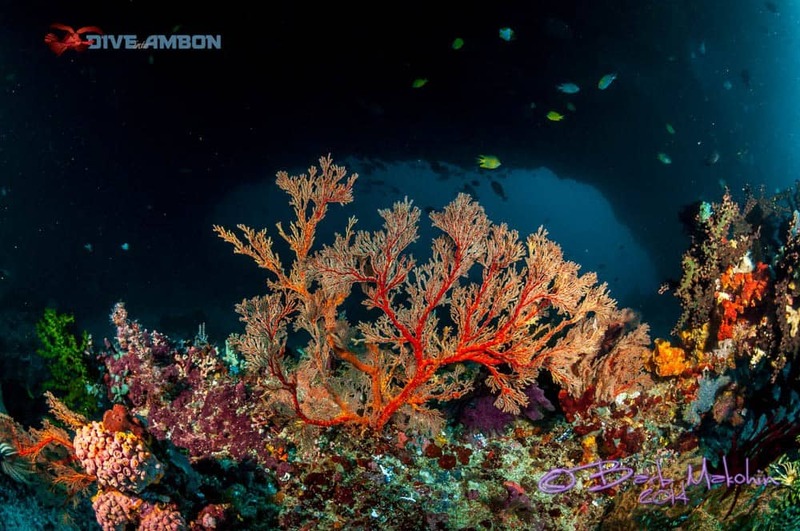 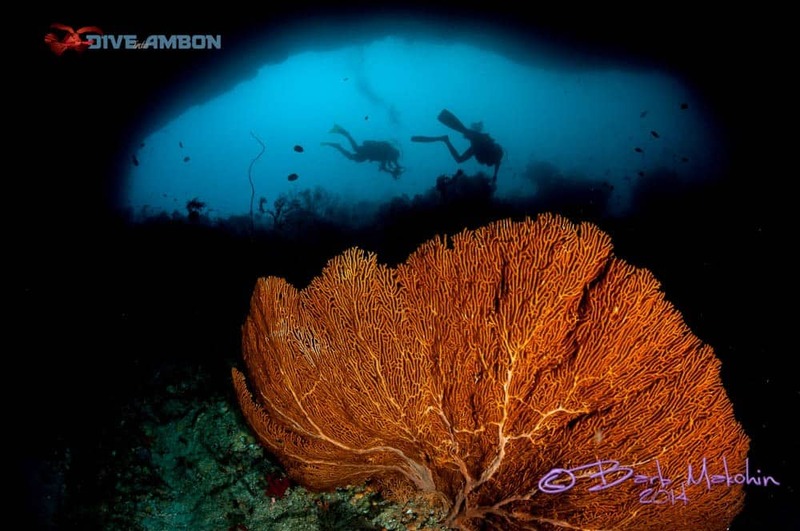 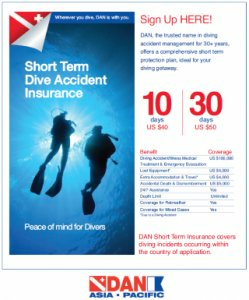 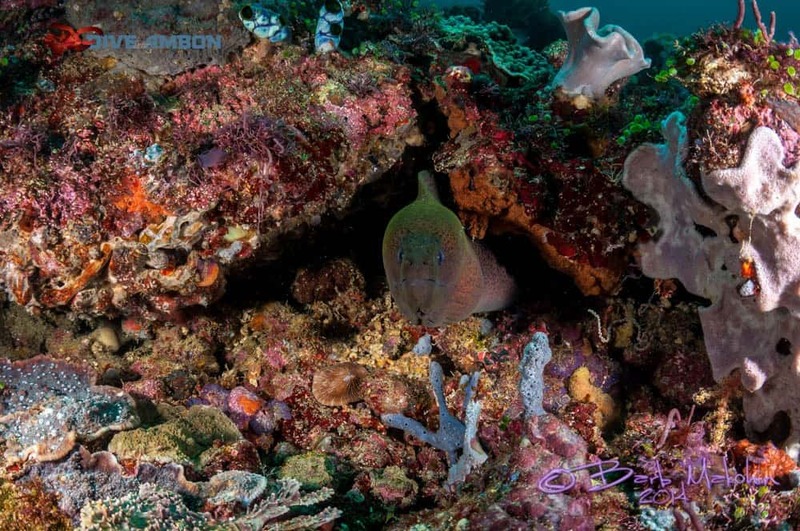 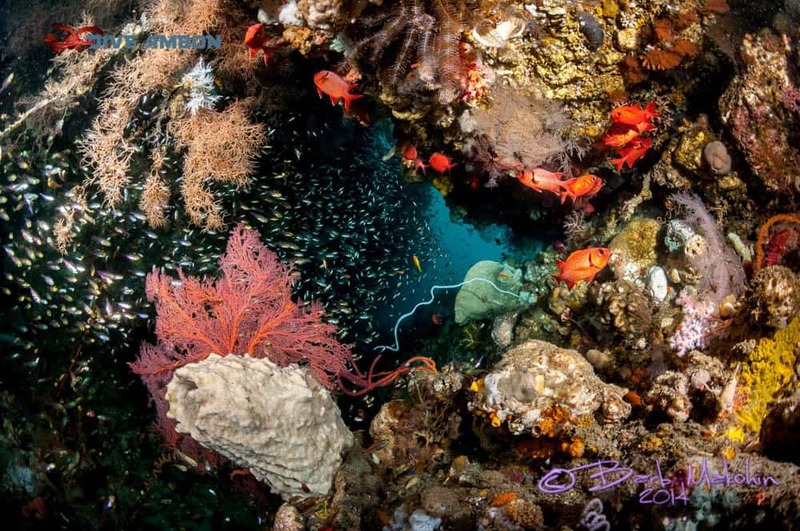 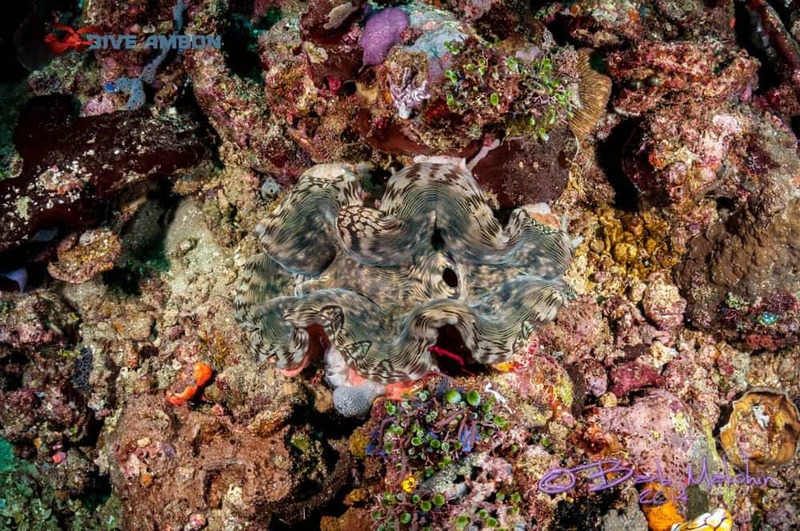 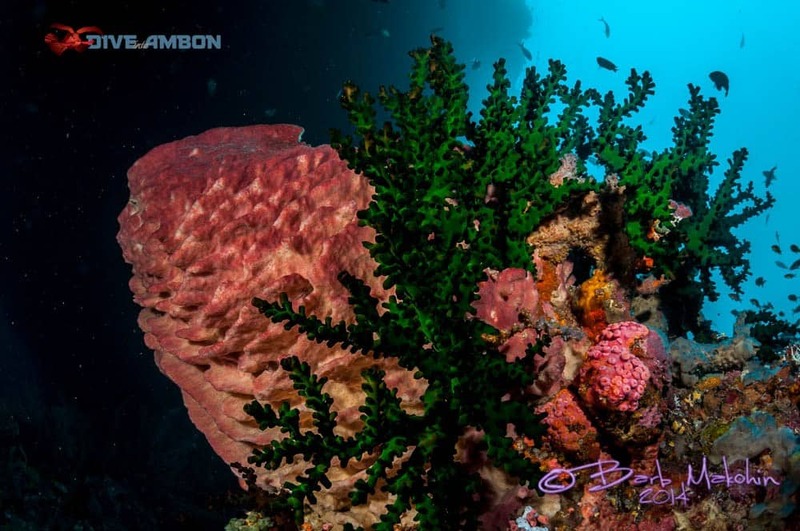 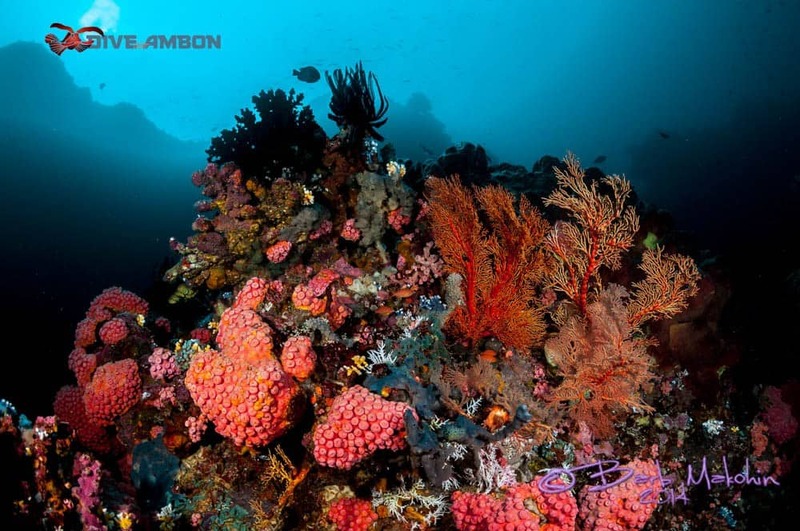 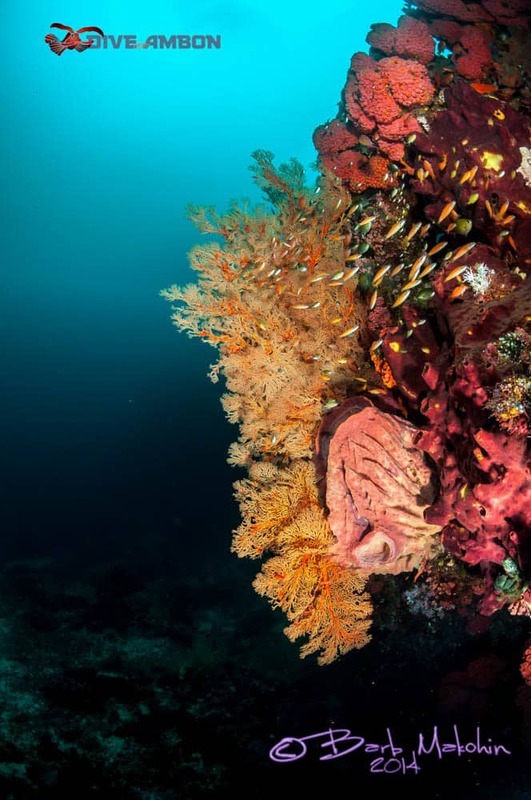 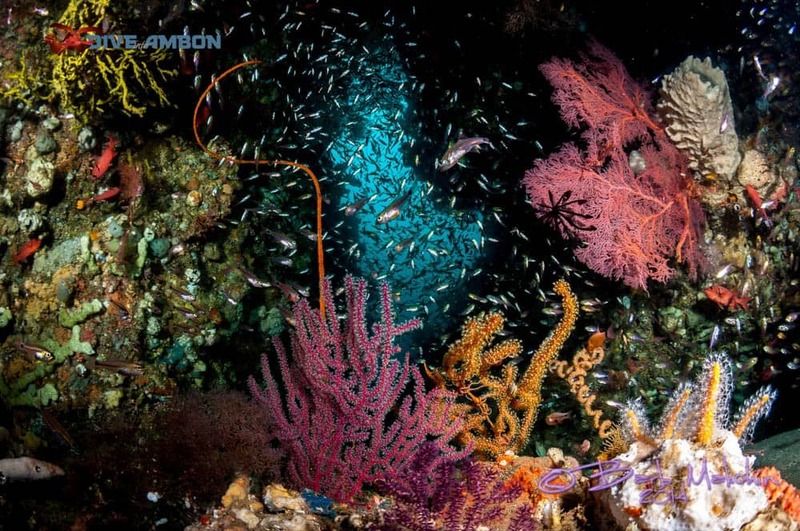 But Ambon also has a big secret…it has some of the most pristine and beautiful reefs in the tropics. 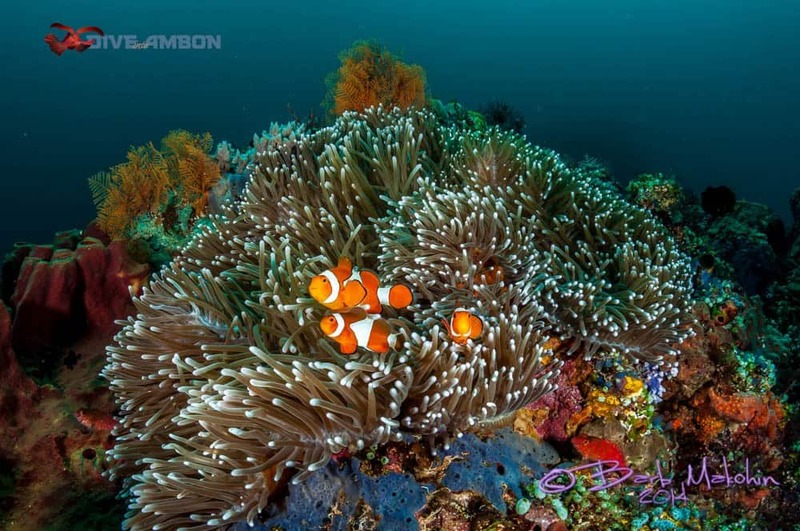 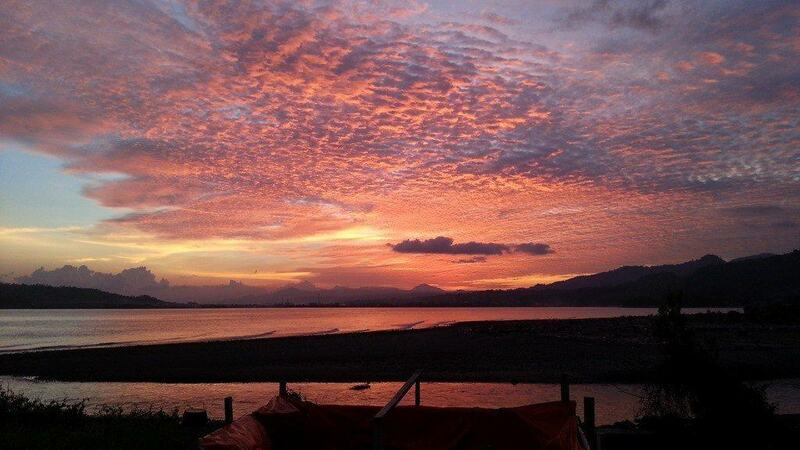 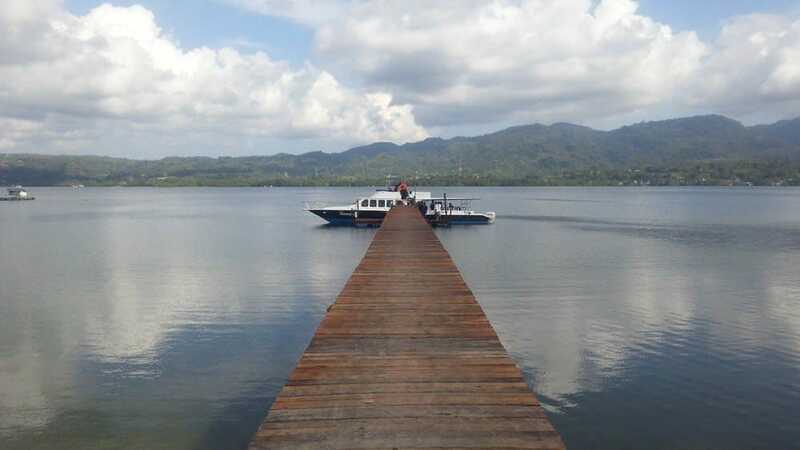 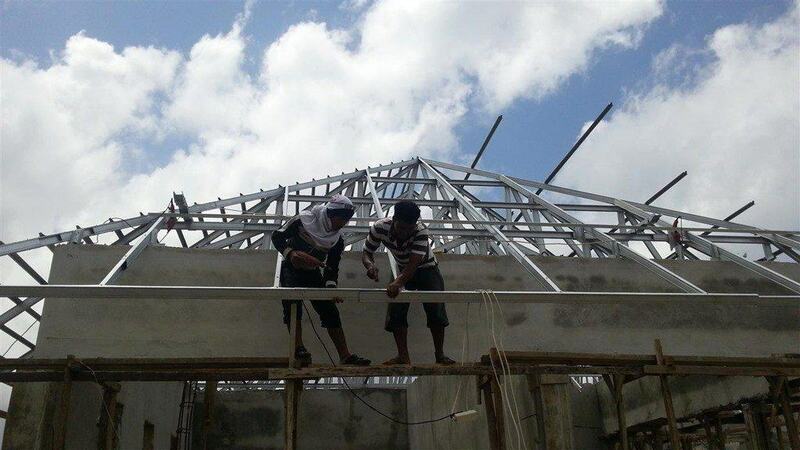 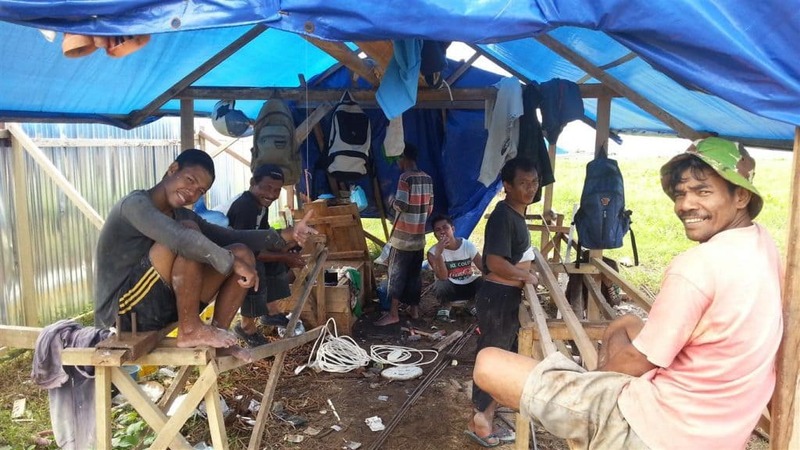 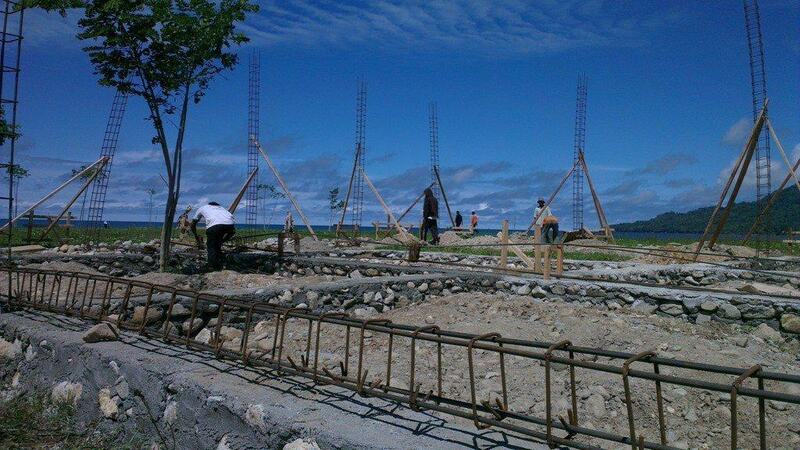 The south side of Ambon, away from the wonderful muck sites of Ambon Bay, is truly stunning. 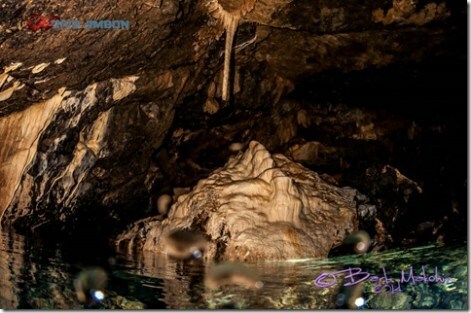 And finally Barb broke out her wide-angle lens to capture what our guests having been seeing since we opened. 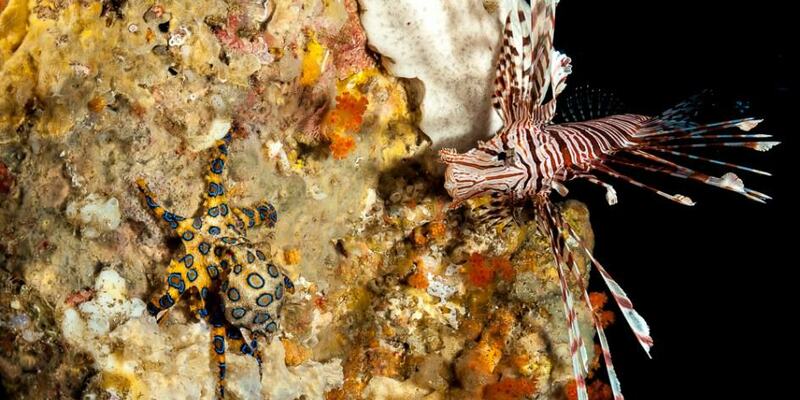 As the south side has been so rarely dived in the past, we have discovered some amazing new sites. 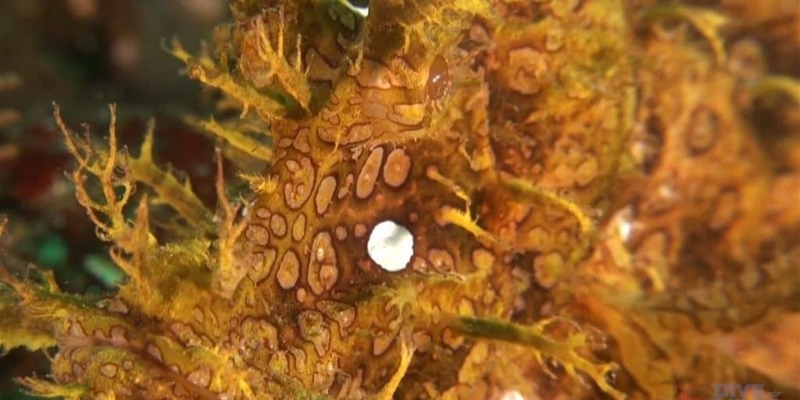 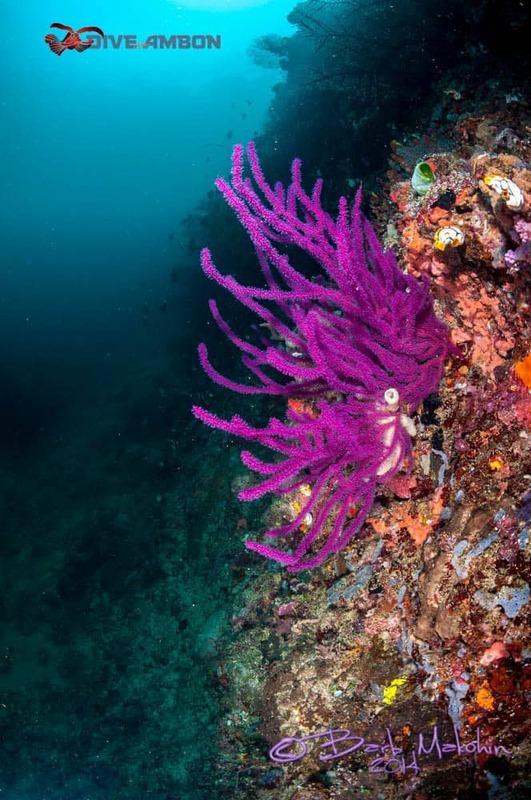 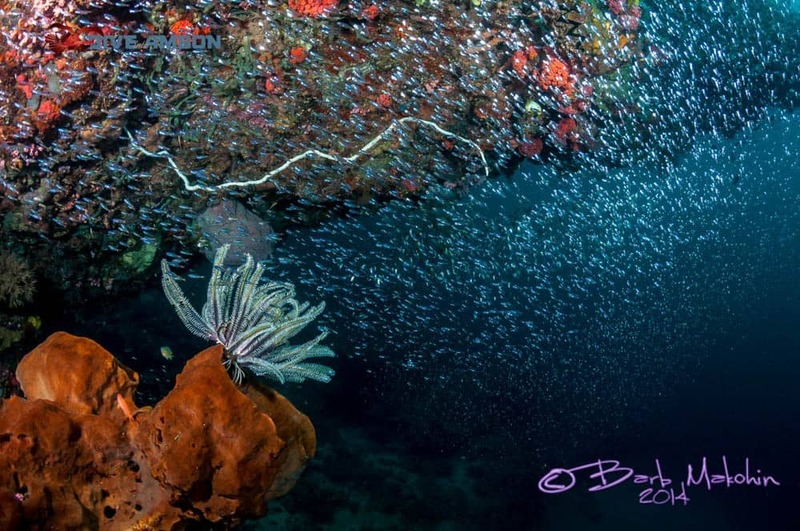 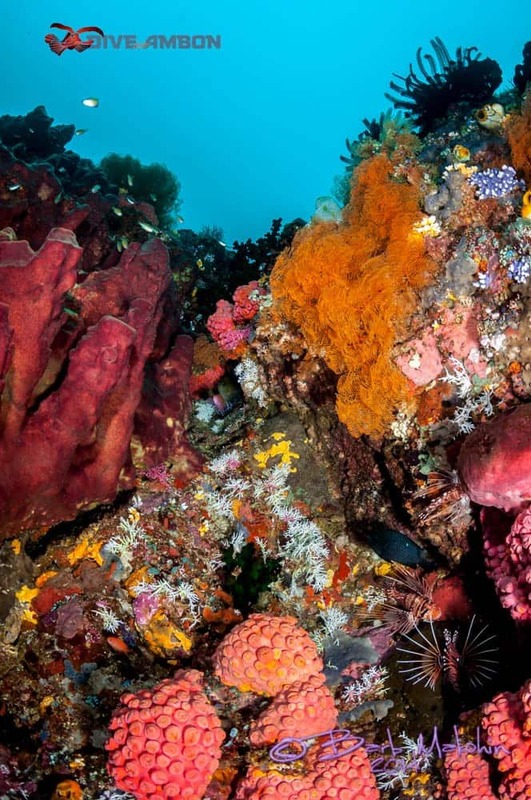 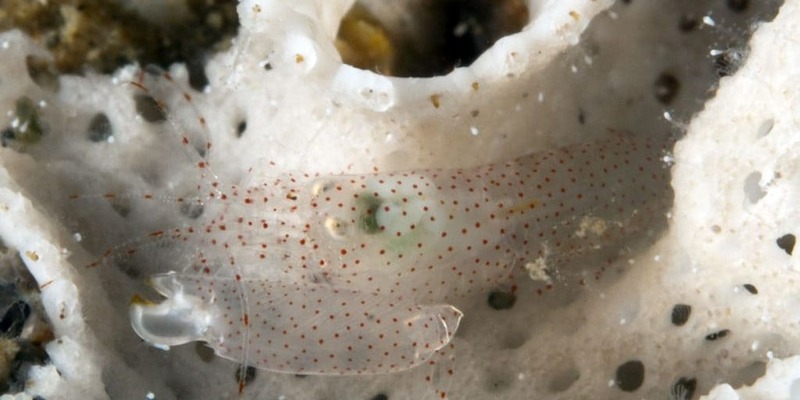 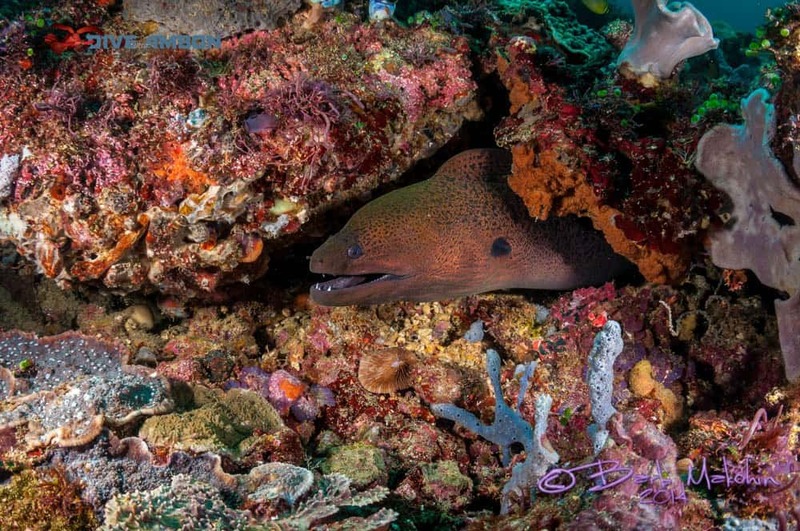 Recently we found a fantastic new addition to our south side dive sites, ALFA Point. 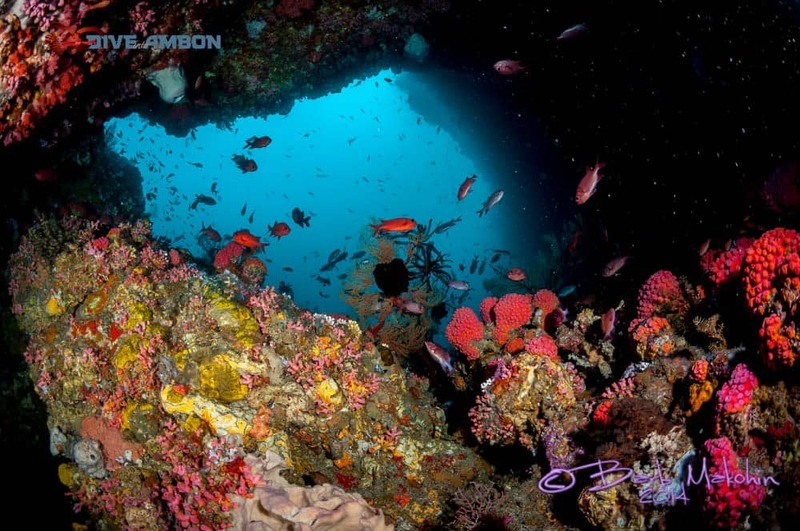 As well as having a vibrant and colourful reef it also boasts a beautiful cave. 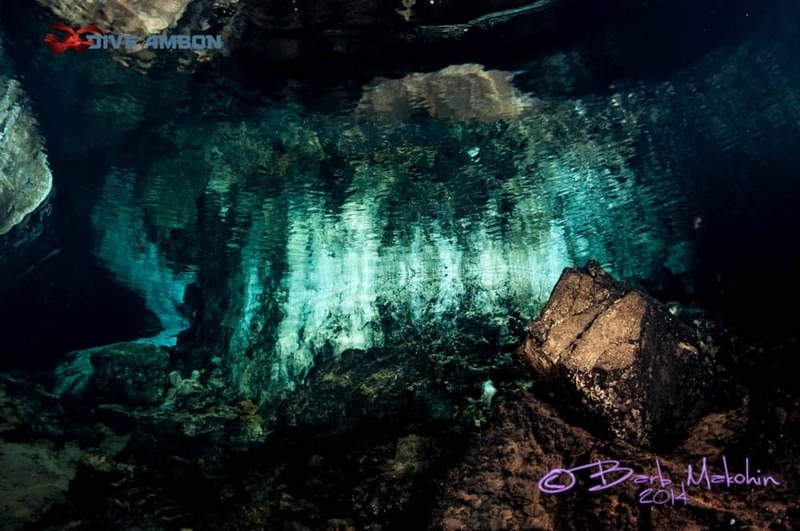 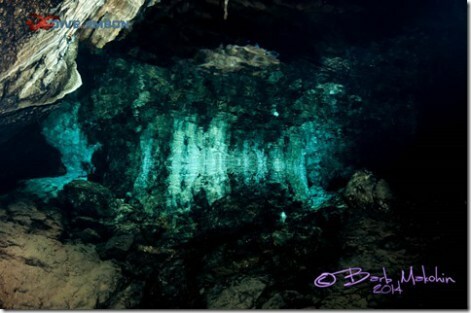 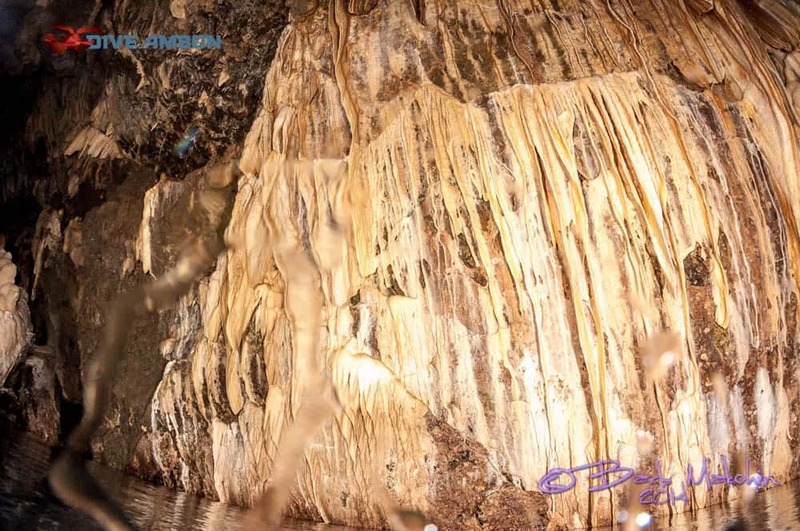 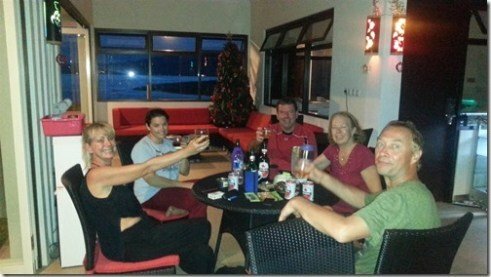 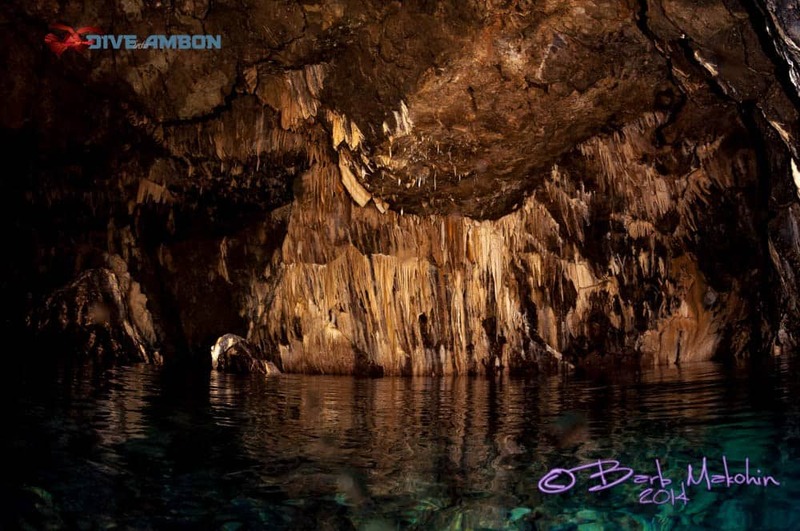 And in the cave we found two amazing discoveries…. 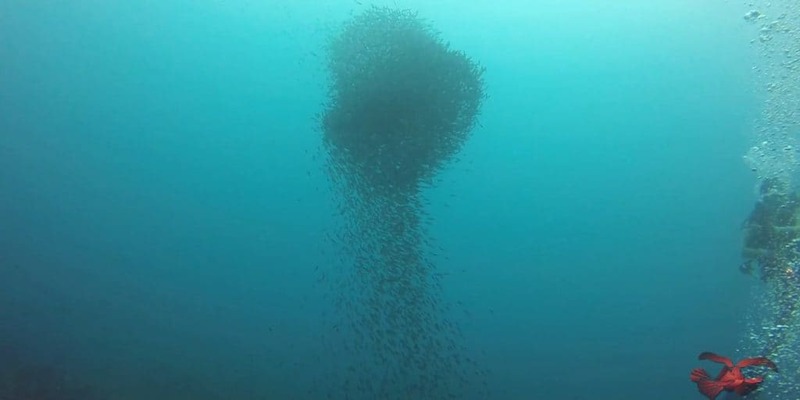 First: the cave, which is only 5 to 6m deep, is home to one of the wonders of the underwater world….Flashlight Fish. 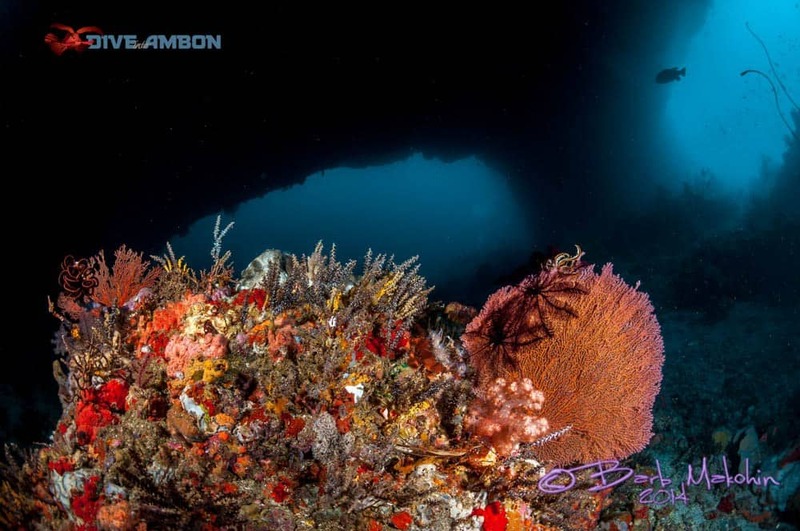 These astounding creatures are usually only seen at night, deep on the reefs, but in our cave you can see them any time. 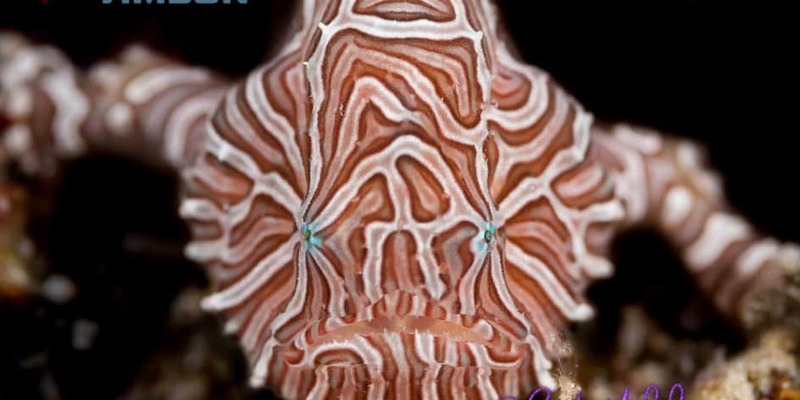 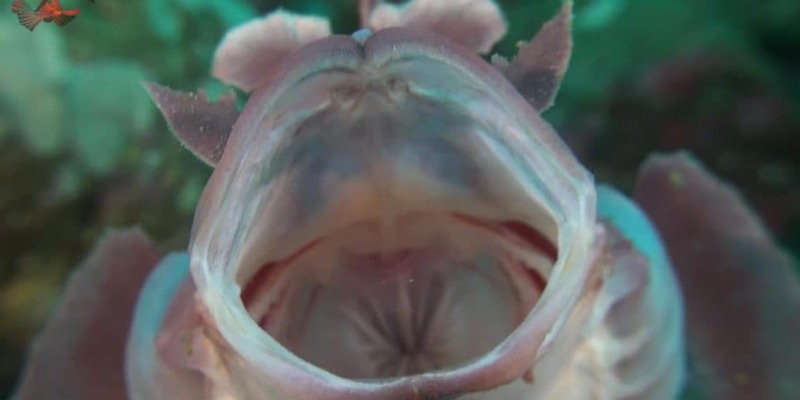 In the darkness they have a bio-luminescence membrane under each eye, which they can cover up, giving the impression of flashings lights…it is one of the most mesmerising sights to see, an unmissable treat to experience underwater. 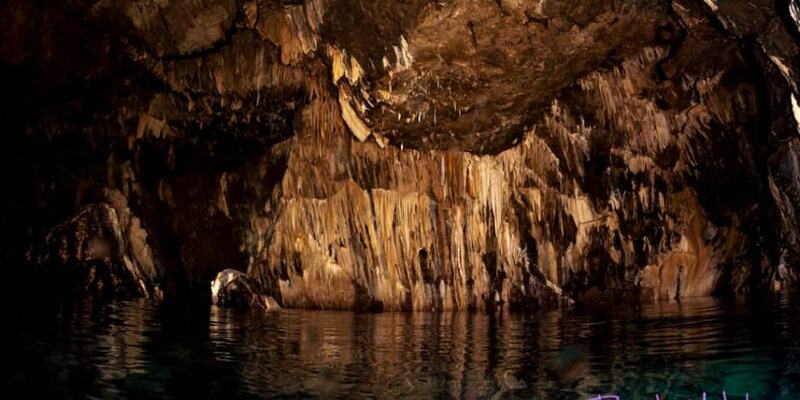 And second: The underwater cave has a very large dry cavern at the top, which opens up into a chamber covered with stalactites and stalagmites…hidden from the world. 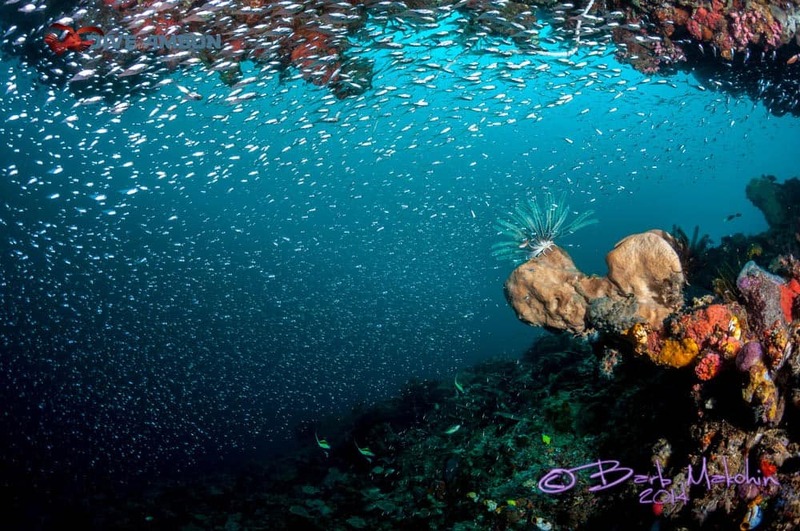 Words do not do any of this justice, so enjoy Barbs photos….